Here is a list of Independence Township Foreclosures as of 2/3/15. This Township is located in Oakland County Michigan. This Township is also very close to Clarkston. Clarkston ha s a down town that everyone enjoys going to. There is fine dining, shopping and entertainment for both adults and children. If you have children, they will attend the Clarkston Public School System. If you are interested in any of these Independence Township Foreclosures 2/3/15 or would like some more information about them, please dont hesitate to contact me at (248) 310-6239 or email me at yesmyrealtor@gmail.com. I will set you up with a personalized list of homes that meet your criteria, to insure that your next home features all of your wants and needs. That is the most important key in today’s market, getting the listings first so you dont miss out on the best deals that are currently out there on the market. The good homes are selling fast, so when you see something that you like, contact me right away so I can get you inside of the home to take a look around. Take a look at the 6 home selling tips – Northville homes. If you’re interested in living the life of lake living, take a look at Cass Lake homes – West Bloomfield Lakefront homes. 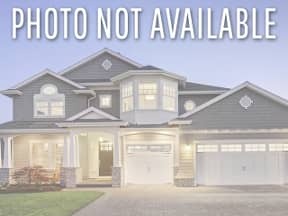 If none of those seem to interest you, feel free to browse through my website and see other information on individual lakes such as Bogie Lake Homes for Sale or Lakefront Homes for Sale Woodhull Lake Waterford Township Michigan! Happy searching, if you cant find what you want, feel free to contact me at anytime, I can help you find the home of your dreams! 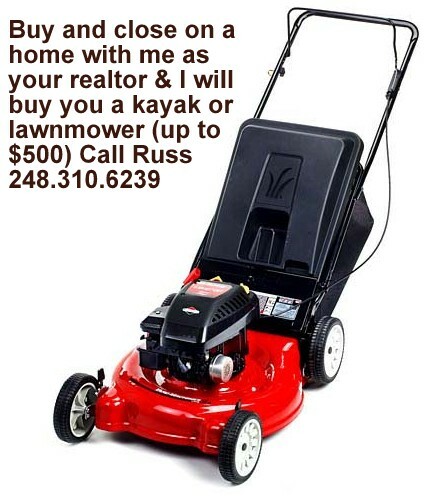 If you buy and close on a home with me as your realtor, I will buy or credit you a new Kayak or Lawnmower. So what are you waiting for? Pick up the phone and give us a call today at (248) 310-6239 or email us directly at yesmyrealtor@gmail.com. We look forward to hearing from you! !